Q – Art for Art's Sake! 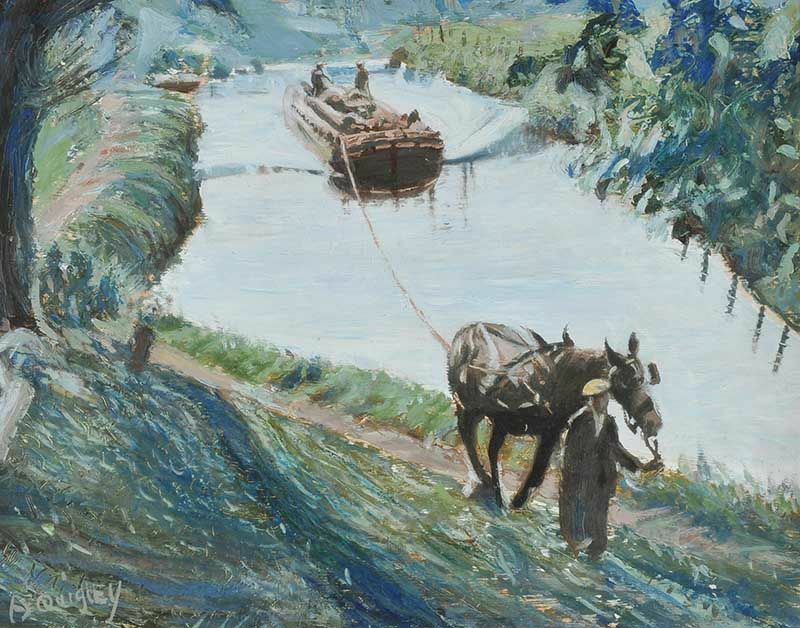 “Walk by the River” oil on board, sold at Ross’s 8/5/2013 – £40.00. 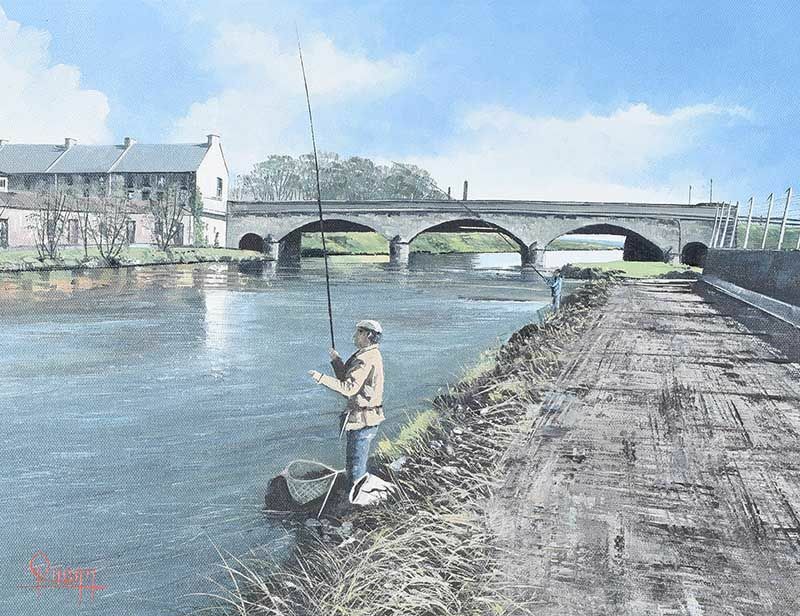 “Match fishing on the Bann” oil on canvas (12″ x 16″), sold at Ross’s – 7/11/2018 for £40.00. 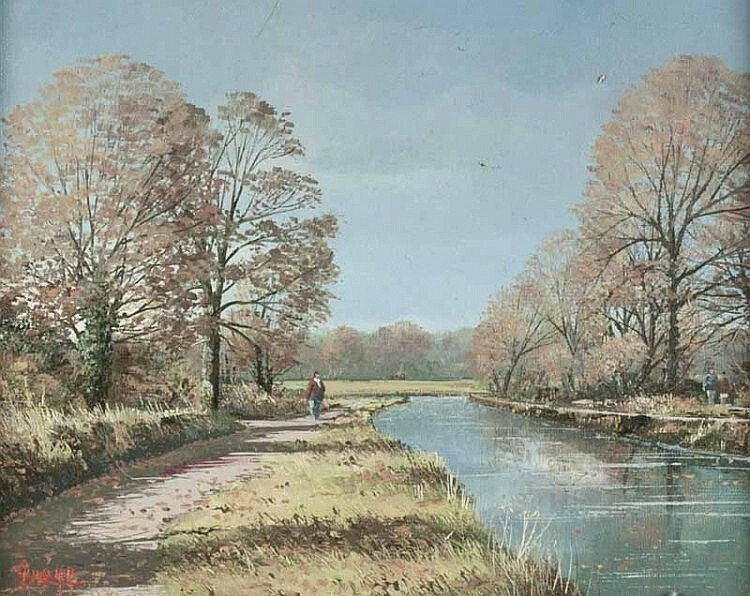 “The Lagan Towpath” oil on board (16″ x 20″), unsold at Ross’s – 1/2/2017. “Bringing home the Turf” oil on canvas (24″ x 30″), unsold at Ross’s 1/3/2017. Joseph Quilty was born in Limerick. 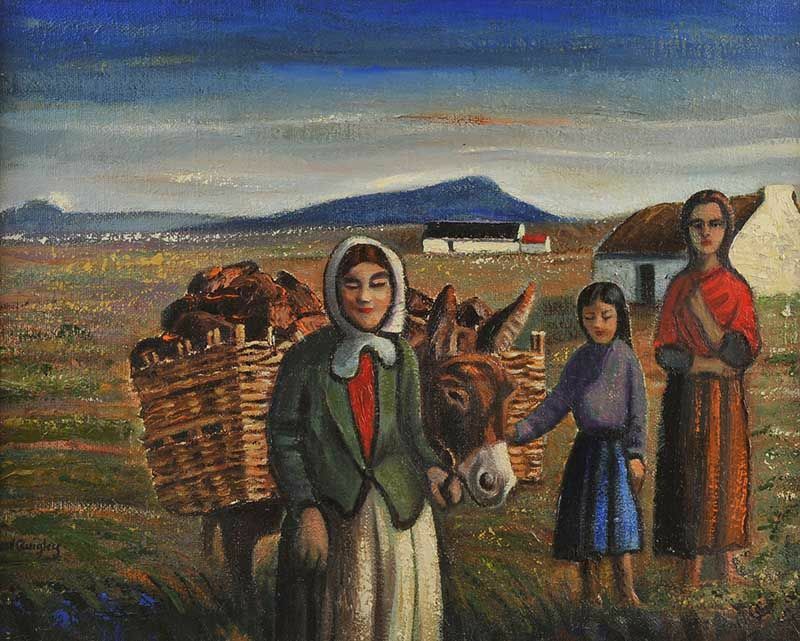 As a young man he painted constantly and on emigrating to England he studied at the Arthur Segal’s School of Art and painted with his friend, Gerard Dillon. The inspiration for much of his work was the Burren landscapes of Ireland’s West coast. 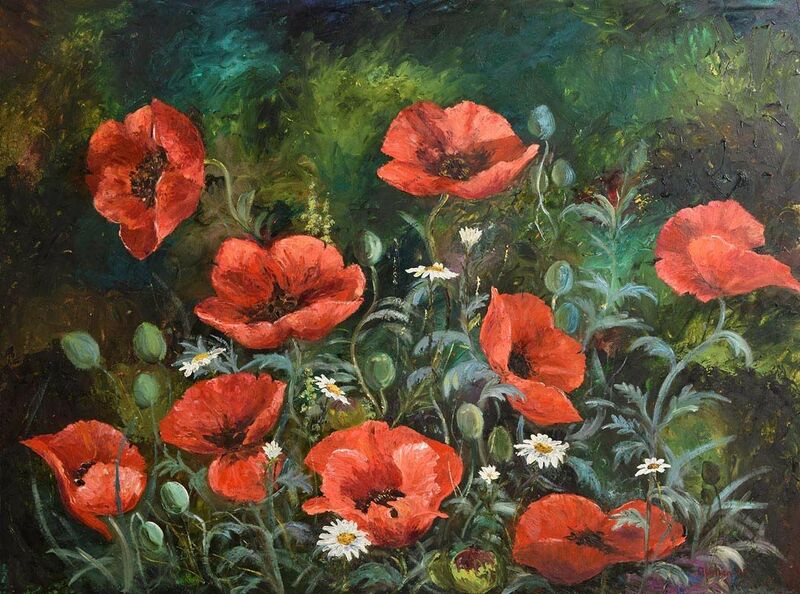 “Poppies in a Meadow” oil on board (36″ x 48″), sold at Morgan O’Driscoll’s – 13/3/2017 for €420.00. 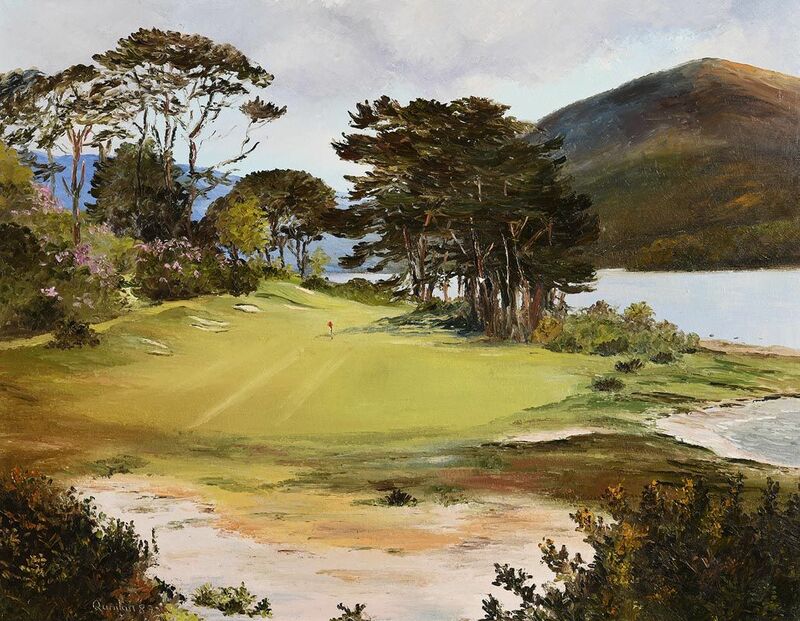 “18th Green, O’Mahony’s Point, Killarney” dated 1989, oil on canvas (22″ x 28″), sold at Morgan O’Driscoll’s – 12/3/2018 for €280.00. 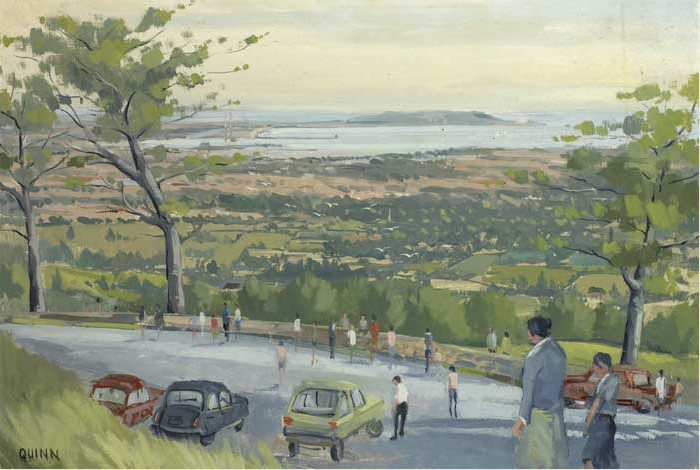 “View of Dublin Bay” oil on canvas (18″ x 25.5″) sold at Whyte’s – 11/12/2011 for €120.00. 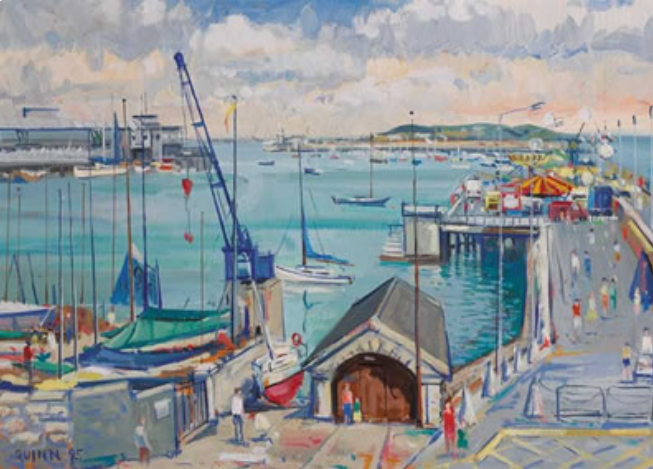 “East Pier, Dun Laoghaire Harbour” dated 1995. 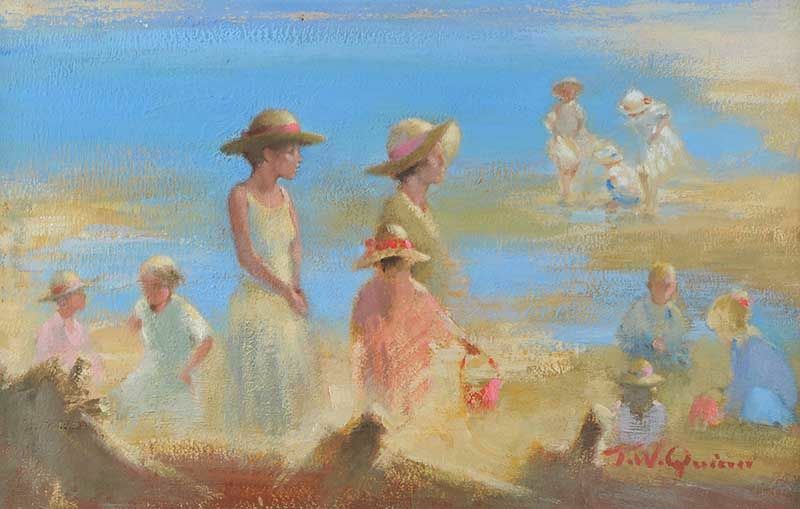 “On the Beach” oil on board (16″ x 24″), unsold at Ross’s – 10/8/2016. 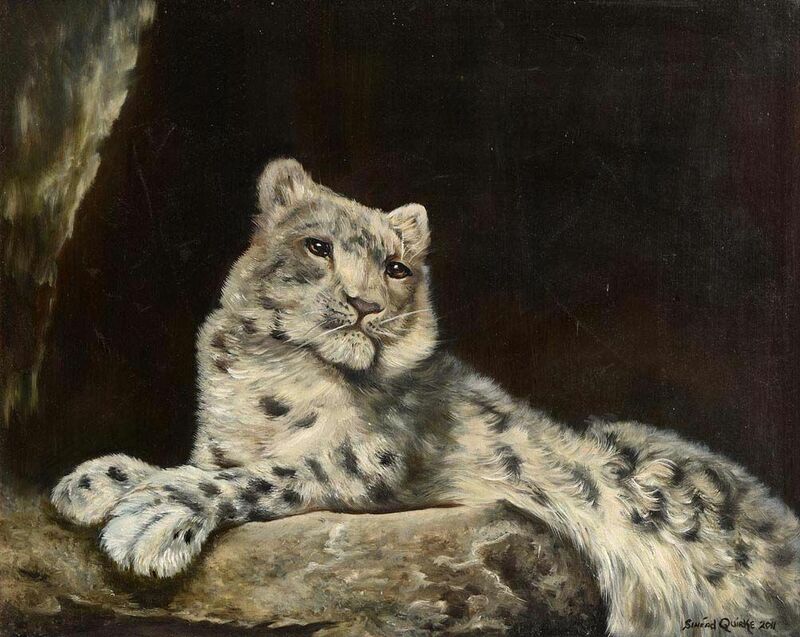 “Snow Leopard” oil on canvas (16″ x 19″), sold at Morgan O’Driscoll’s – 22/5/2017 for €90.00.